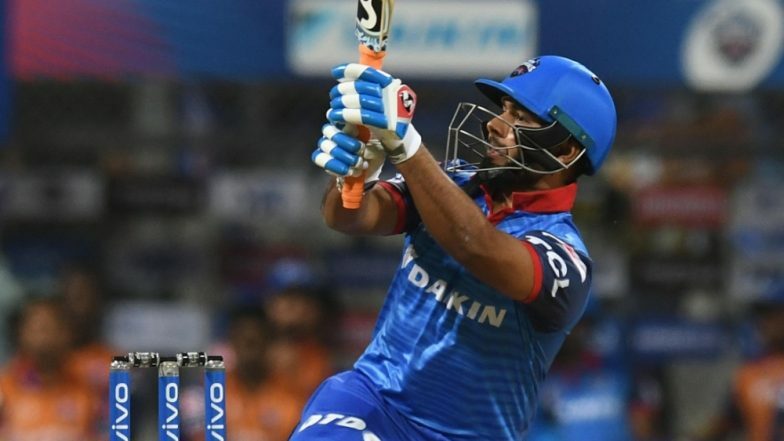 Delhi Capitals opened their Indian Premier League 2019 or IPL 2019 campaign with an impressive 37-run win over three-time champions Mumbai Indians at the Wankhede Stadium in Mumbai. Chasing a mammoth target of 214 runs, Mumbai Indians were restricted to 176 runs despite Yuvraj Singh scoring 35-ball 53. For Delhi Capitals it was Rishabh Pant who made all the difference. The left-hander slammed 78 off just 27 balls. MI vs DC- As it Happened. Put to bat, Delhi Capitals started off on a shaky note and lost two wickets for just 29 runs. Mitchell McClenaghan made early inroads by removing both Prithvi Shaw and Shreyas Iyer. Shikhar Dhawan and Coming Ingram then steadied Capitals’ innings with a brilliant 83-run stand. However, the visitor lost momentum in the middle and were reduced to 131 for four. Pant the took control of the innings and despite losing two more wickets Delhi managed to go past the 200-run mark. The young wicketkeeper batsman toyed with the Mumbai attack towards the end and took Delhi to 213. Pant smashed seven sixes and as many fours during his stay. IPL 2019 Points Table: Check Out Updated Indian Premier League 12 Team Standings and Match Results. # This was 700th IPL match. # Rasikh Salam at 17 became the youngest IPL debutant for Mumbai Indians. # Rishabh Pant’s 18-ball half-century is now fastest against Mumbai Indians. # This was Rishabh Pant's ninth fifty in IPL. # Yuvraj Singh now has 13 IPL fifties against his name. # Mumbai Indians have not won their opening match of a season since 2013. # Delhi Capitals won their first opening match of a season since 2013. # The win is Delhi Capitals’ third consecutive over Mumbai Indians. # In 23 meetings between the two sides, DC have now won 12. In response to Delhi’s total, Mumbai Indians kept losing wickets at regular intervals and never looked like going for the kill. Inside powerplay overs, the home side were reduced to 45 for three. Yuvraj played a lone hand with other batsmen failing to support him. The run-rate eventually creeped up and Yuvraj succumbed to pressure as well. Delhi Capitals will now host Chennai Super Kings at home on March 26 while Mumbai Indians travel to Bengaluru to face Royal Challengers Bangalore on March 29.